The blue sails are in place and the Maritim logo welcomes guests at reception. The new ​Maritim Hotel Paradise Blue Albena started the season on 12 April and the first holidaymakers are already enjoying the large pool, the exclusive spa facilities and the magnificent view of the vast sandy beach. 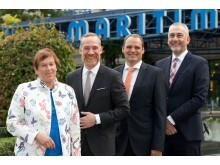 Maritim Hotels, Germany, celebrates its 50th anniversary and looks back on an extremely successful business year with a turnover growth of almost 15 million euros in Germany in 2018. At 147 million euros – around 8 million euros up from the previous year (139.2 million euros), the gross operating profit paints a similarly positive picture. 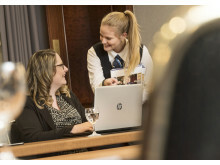 Throughout 2019, Maritim Hotels will celebrate its 50th anniversary with a whole host of initiatives and offers. We are particularly excited about the Maritim “Celebration Cup”. Every time one of these reusable anniversary cups is sold or refilled, Maritim will donate 50 cents directly to the charity SOS Children’s Villages. The Paradise Blue Hotel & Spa***** in Albena, Bulgaria will open as a Maritim Hotel in April 2019. The contract for the new 5-star hotel was signed recently and Maritim Hotels will run it on a franchise-basis. For those searching for more from an idyllic holiday in paradise, the twin Maritim hotels on the island of Mauritius is a dream destination . The archipelago in the Indian Ocean is almost entirely surrounded by a natural reef, the diving centres at the two Maritim hotels,which are situated on the isle’s most idyllic beaches, giving guests ready access to the incredible realm under the sea. Now that the sun is out and the temperatures are starting to rise, it’s time to make the most of the great outdoors. Maritim Hotels’ latest range of packages and activities across its properties in Germany will enable guests to enjoy a wide range of unique experiences. May this joyful Easter holiday bring us new hopes and true happiness. New open air cinema at the Maritim Resort and Spa Mauritius with giant inflated screen, chairs and immersive surround sound with blockbuster movies to give our guests a memorable night. 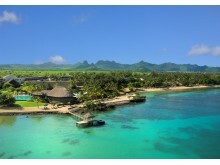 Remain up-to-date with the latest happenings at Maritim Resort & Spa Mauritius! Don't you just want to sing your heart out along with these great singers? We do! Which song do you prefer? 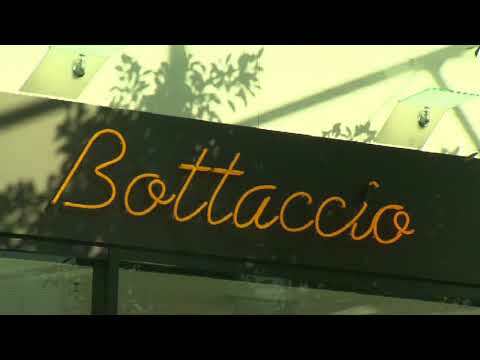 Listen & watch all of this year's songs at Al Ponte Pizzeria & Restaurant or on our big screen at 120 Bar while enjoying something delicious from our menu. The Maritim Hotelgesellschaft is Germany’s largest owner-managed hotel group, and the company’s nationwide hotel network is represented by hotels in seven countries overseas: Mauritius, Egypt, Turkey, Malta, Spain, Bulgaria and China. The group’s ongoing expansion continues to strengthen its position within the European first-class hotel industry.